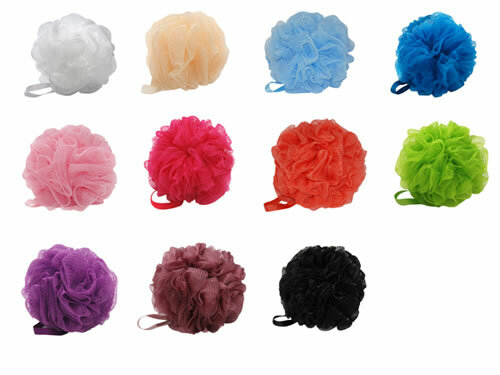 50g Large Mesh Pouf Sponge, soft and exfoliate net, create rich lather. wholesale bulk packaging. Regular full size sponge, same size as most retail accessories poufs. Around 5in in diameter. You can mix & match different colors for same wholesale discount.